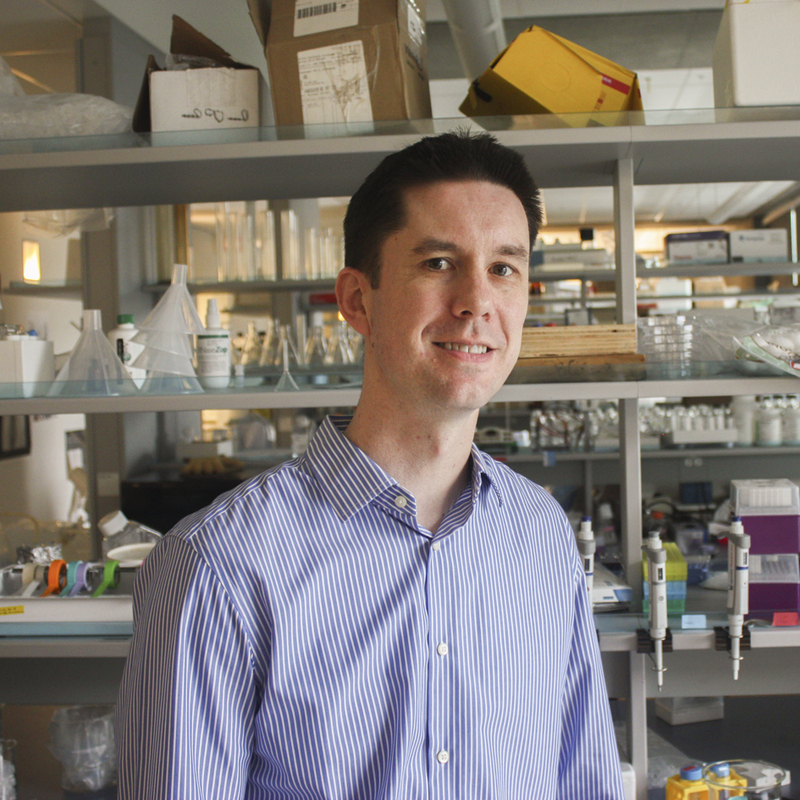 The Canadian Association for Neuroscience (CAN) is proud to announce that Michael Gordon, from the University of British Columbia, will be awarded the 2015 CAN Young Investigator Award at the upcoming 9th Annual Canadian Neuroscience Meeting in Vancouver, British Columbia on May 24th 2015. Dr. Michael Gordon’s research provides insight into two of the most critical decisions we, and other animals, have to make: what to eat, and how much. He studies this important and complex question in the fruit fly, Drosophila melanogaster, which has a relatively simple nervous system, with one million times fewer neurons than ours, yet displays a complex array of behaviours in response to food cues. He has significantly contributed to our understanding of the neural circuits that drive taste responses and feeding preferences. Using the fly brain as a model, the Gordon lab combines molecular genetics with optical techniques and electrophysiology to map taste circuits, probe how these circuits encode information, and unravel their impact on feeding. These studies contribute to our understanding of how the brain translates sensory information into behaviour. Dr. Gordon’s work has shown that food preference can be viewed as a changing metric, based initially on taste, but evolving with experience, and the animal’s physiological condition. These studies support the concept that in addition to sensing the palatability of food, like the sweetness or bitterness, flies also have a mechanism for sensing its caloric content, and that this could drive longer-term food preferences. 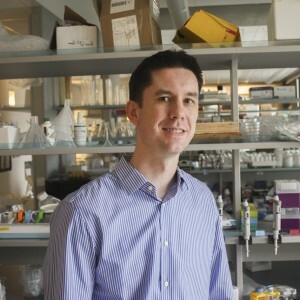 More recently, Dr. Gordon’s team has uncovered a neural mechanism used by the fly brain to integrate the opposing effects of sweet and bitter tastes. Information from multiple sensory cues, the physiological state and experience of the animals thus all contribute to guiding feeding decisions. Dr. Gordon’s publication track record demonstrates the importance of his research contributions, and it is particularly impressive to note his productivity in the short four years since he has established himself as an independent researcher at the University of British Columbia. His recent research has been published in prestigious journals such as Nature Communications (2015), Current Biology (2014), Neuron (2014, 2013), and The Journal of Neuroscience (2012). Dr. Gordon’s contributions, which include earlier publications in Neuron in 2009 and Nature in 2005, have had significant impact and are highly cited, further demonstrating his position as a leader in the field of feeding regulation. In addition, Dr. Gordon is a much-appreciated Faculty member at the department of Zoology at the University of British Columbia. His extensive teaching duties and successful mentorship of both undergraduate and graduate students attests to his importance in the Department. The Canadian Association for Neuroscience wishes to thank Dr. Vanessa Auld, Professor at the University of British Columbia, and Dr. Tim O’Connor, Professor and Chair of the Graduate Program in Neurosciences at University of British Columbia, for nominating him for this award. Within a very short time period as an independent researcher, Dr. Michael Gordon has established himself as an exceptional young scientist and a rising star in Canadian Neuroscience. We are very proud to present him with the 2015 CAN Young Investigator Award. LeDue EE, Chen YC, Jung AY, Dahanukar A, Gordon MD. Pharyngeal sense organs drive robust sugar consumption in Drosophila. Nat Commun. 2015 Mar 25;6:6667. doi: 10.1038/ncomms7667. Chu B, Chui V, Mann K, Gordon MD. Presynaptic gain control drives sweet and bitter taste integration in Drosophila. Curr Biol. 2014 Sep 8;24(17):1978-84. doi: 10.1016/j.cub.2014.07.020. Pool AH, Kvello P, Mann K, Cheung SK, Gordon MD, Wang L, Scott K. Four GABAergic interneurons impose feeding restraint in Drosophila. Neuron. 2014 Jul 2;83(1):164-77. doi: 10.1016/j.neuron.2014.05.006. Mann K, Gordon MD, Scott K. A pair of interneurons influences the choice between feeding and locomotion in Drosophila. Neuron. 2013 Aug 21;79(4):754-65. doi: 10.1016/j.neuron.2013.06.018. Stafford JW, Lynd KM, Jung AY, Gordon MD. Integration of taste and calorie sensing in Drosophila. J Neurosci. 2012 Oct 17;32(42):14767-74. doi: 10.1523/JNEUROSCI.1887-12.2012. Gordon MD, Scott K. Motor control in a Drosophila taste circuit. Neuron. 2009 Feb 12;61(3):373-84. doi: 10.1016/j.neuron.2008.12.033. Yang CH, Rumpf S, Xiang Y, Gordon MD, Song W, Jan LY, Jan YN. Control of the postmating behavioral switch in Drosophila females by internal sensory neurons. Neuron. 2009 Feb 26;61(4):519-26. doi: 10.1016/j.neuron.2008.12.021. Gordon MD, Dionne MS, Schneider DS, Nusse R. WntD is a feedback inhibitor of Dorsal/NF-kappaB in Drosophila development and immunity. Nature. 2005 Sep 29;437(7059):746-9. Epub 2005 Aug 17. The CAN Young Investigator Award recognizes outstanding research achievements by a young neuroscientist at the early stage of his or her career. Candidates are proposed by neuroscientists who are members of the Canadian Association for Neuroscience, and the winner is chosen by the CAN Nominations Committee.